Urethane Couplings – Wear Resistant Urethane Couplings! Urethane Couplings ? You’ve come to the right source! 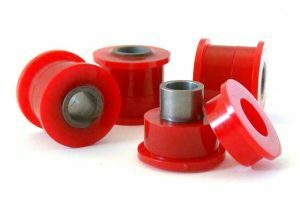 Flexible Urethane Couplings: Flexible couplings are widely used in the engineering, industrial and automotive industries. They can be used to driving motors, gearboxes and even blowers as they are quite elastic and have a very high dampening effect. This is why flexible urethane couplings are used in the automotive industry as they can easily reduce the noise created by moving parts by seamlessly absorbing energy. Urethane Motor Shaft Couplings: The motor shaft couplings which we manufacture in our world-class in-house machine shop are among the best the industry has to offer. We only utilize the very best of resin from world-renowned chemical producers for the production of our urethane motor shaft couplings to ensure their physical properties are top-class. With the technical flexibility of our team of engineers who oversee the manufacturing process, we are able to manufacture our urethane shaft couplings in different shapes, sizes and durometers. Cast Polyurethane Couplings: Cast polyurethane couplings are widely used in the shipping and packaging industry. You can find them on the buffers of forklifts. The cast polyurethane couplings can withstand high temperatures and are wear resistant. Hence they can be used in places that experience heavy heat, like engines. Polyurethane can be cast into various shapes and colors, which brings a whole new design element onto the Cast Polyurethane Couplings. Molded Polyurethane Couplings: With over 30 years of experience manufacturing molded polyurethane couplings, Plan Tech has earned a reputation for developing innovative products and designs that have exceeded the expectations of both customers and their competition in the industry. Our proprietary polyurethane formula allows our molded urethane couplings to stand out based on performance. New Electric Motor Drive Couplings Application! LOUDON, NH., February 22, 2018 —Plan Tech, Inc. selected to produce thousands of urethane electric motor drive coupling adapters. These parts are a critical piece for the operation of safely transferring power from an electric motor to a transmission or drive wheel where corrosion, vibration, or magnetism prevents the use of conventional rubber couplings. Our utilization of speed and precision for the manufacture of all urethane parts or products is a factor behind the high performance and long service life of our urethane couplings coupled with a world-class in-house team of engineers who leave no stone unturned in ensuring all of the products are of premium standard. We boast one of the most equipped in-house machine shops in the industry with state of the art facilities that are second to none in the sector. There is yet to be a urethane requirement or demand we can’t meet regardless of the profile or specification – we are the ideal company where all couplings needs can be achieved with high precision and fast turnaround. We routinely certify a variety of testing and compliance certifications for our customers. Plan Tech for over 30 years has produced millions of parts for numerous applications. Frequently we will be presented with a problem for a custom couplings application or better performance out of OEM parts. Plan Tech can match OEM parts to print or from a sample part out of high-quality urethane from world leading chemical companies. There are two main types of urethane resins polyester and polyether. For the most part polyether material is incredibly tough and a go-to choice for most applications. When abuse or wear items are presented to Plan Tech we will learn exactly what the application is and find the best material we feel suited for excellent product performance and service life. Plan Tech exclusives use high-quality polyurethane resins, pigments and specialty additives with a decades-old proven performance that ensures the highest level of urethane performance. How To Make Urethane Couplings! Are you interested in cast Urethane Couplings? Please Contact us so we can help solve your requirements and work with you on your specific application!